Most of the money is for research and development and that will lead to the installation of the 1,000 charging stations,” said AddEnergie spokesman Simon Granger. 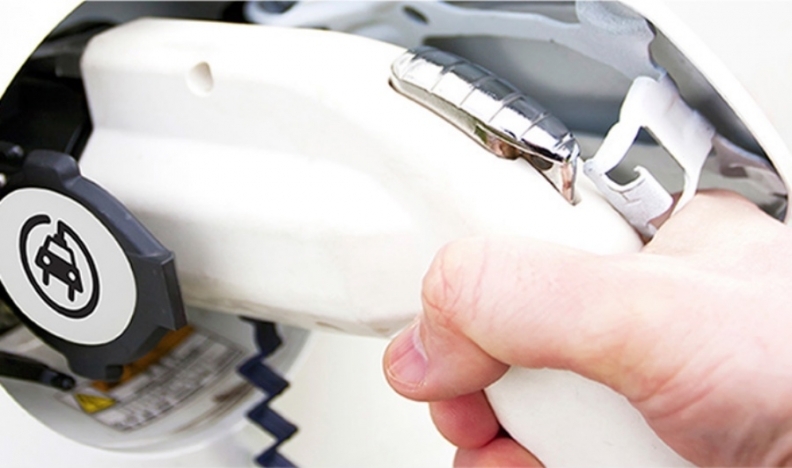 The Government of Canada will give AddÉnergie of Quebec up to $7 million in the form of a non-repayable grant to develop and install electric vehicle charging stations, in an effort to increase demand for the vehicles. AddÉnergie will use the federal money as part of its $17-million project to install more than 1,000 new charging stations across Canada by 2019. Some of the money will also be used to develop the next generation of fast-charging stations and other technologies that it said will help get more stations in homes, businesses, and cities. “Most of the money is for research and development and that will lead to the installation of the 1,000 charging stations,” said company spokesman Simon Granger. The money comes from the Ministry of Natural Resources. About 200 of the future 1,000 stations will be public while the other 800 will be installed in workplaces, homes, multi-dwelling buildings or fleet parkings, Granger said. Two main challenges confront people adopting electric vehicles, Granger said. “One: When the electric cars have more range, more people will adopt the technology. The second thing is the availability of charging stations and that’s where we can have an impact,” he said. “Electric cars are becoming cheaper and more efficient and are part of the solution to fight climate change. By investing in charging stations, our government can make these cars an easier choice for Canadians,” Minister of Environment and Climate Change Catherine McKenna said in a statement. Workman said additional charging stations represent “another constraint removed” when it comes to the progress of electric vehicles. The federal government said Monday it will continue to invest in more charging stations. The 2016 federal budget provides $62.5 million for infrastructure for alternative transportation fuels, including charging infrastructure for electric vehicles as well as natural gas and hydrogen refuelling stations. The Government of Canada will continue to support electric-vehicle infrastructure by working with provinces and territories to invest in more charging stations. Right now, only three provinces — B.C., Ontario and Quebec — offer incentives to those who buy electric vehicles. “Provincial incentives are important, but the markets, the private sector, has a huge role to play,” Workman said. Granger said if AddÉnergie makes the charging infrastructure available, it will create demand for electric vehicles.